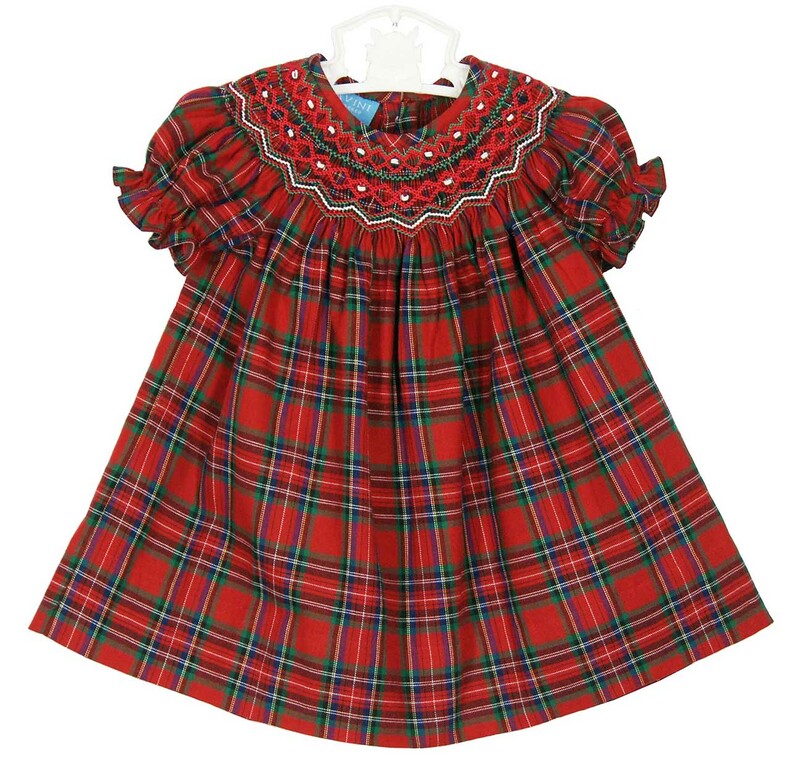 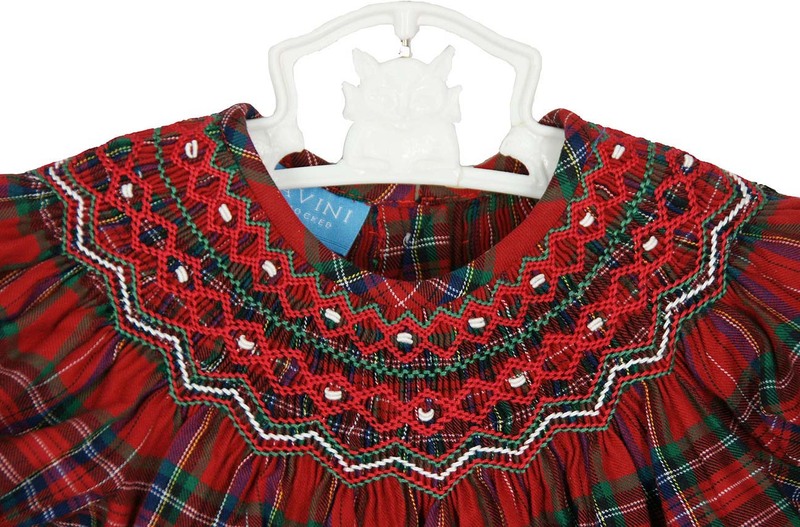 This darling red plaid cotton blend smocked dress is made by Anavini, a leading manufacturer of classic smocked children's clothing. 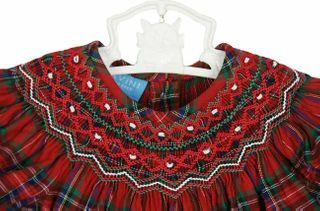 Perfect for Christmas, the dress has bishop style smocking embroidered with red, green and white and short puffed sleeves finished with elasticized ruffles. What a lovely Christmas dress for your baby girl!